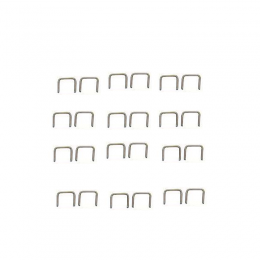 Stainless Steel Automotive Staple - 24 pc. Beltline weatherstrip - sometimes called window sweeps, felts or fuzzies. These are the felts that run horizontally at the base of the door and quarter windows. Free samples available.